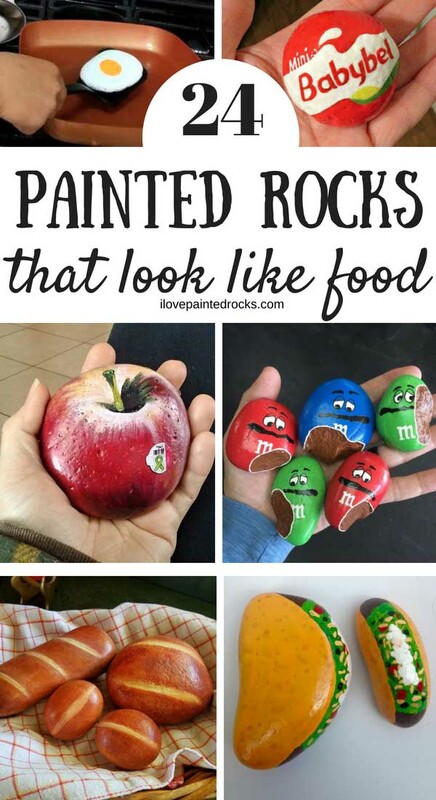 If you love painted rocks, you will adore these 27 super cool painted rocks! 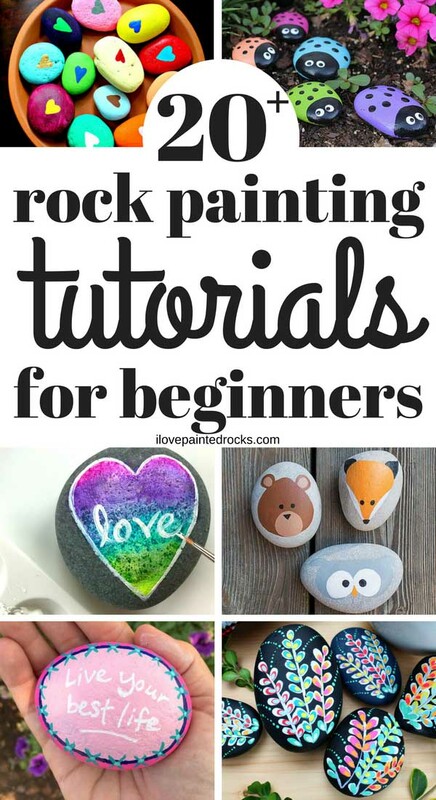 Some of these rock painting ideas even come with step by step tutorials so you can follow along and paint your own! 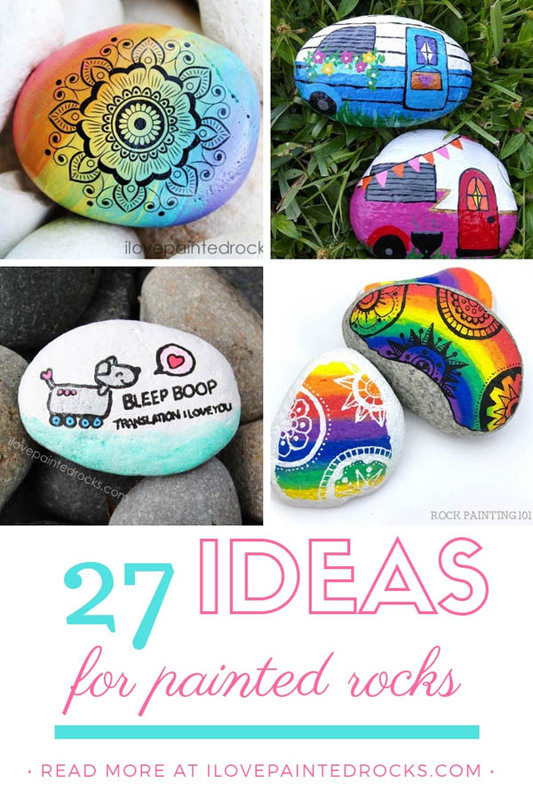 If you are obsessed with rock painting, you will leave totally inspired by all these fun ideas for cool painted rocks that you have never thought of before! Want to be a rock painting tutorial insider? 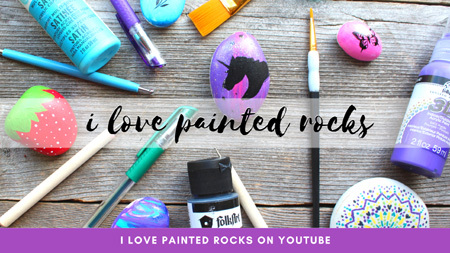 If you love painted rocks and love watching videos of painted rocks, be sure to subscribe to I Love Painted Rocks on YouTube. All of our rock painting videos get uploaded to YouTube FIRST! So if you want to see the best rock painting tutorials before anyone else, make sure to subscibe. Don't forget to pin this post to come back to later! These rainbow mandala rocks are super cool but they have a secret! Instead of needing extreme artistic talent to paint a fancy mandala, you just paint the rainbow ombre with acrylic paint and then apply the pre-painted mandala design. It's like magic! Click over to the post to see the tutorial and even watch a video of it in action. I think rocks painted in a way that give them new depth and perspective are so cool. Artist @TheRarestBird painted this pacific northwest sunset and evergreen tree silhouette rock. I must say it turned out super cool! I'm a sucker for novel rock painting techniques. When I met the stamp company, Heffy Doodle, at an industry trade show in January of 2019 I was able to take home some sample stamps with me. 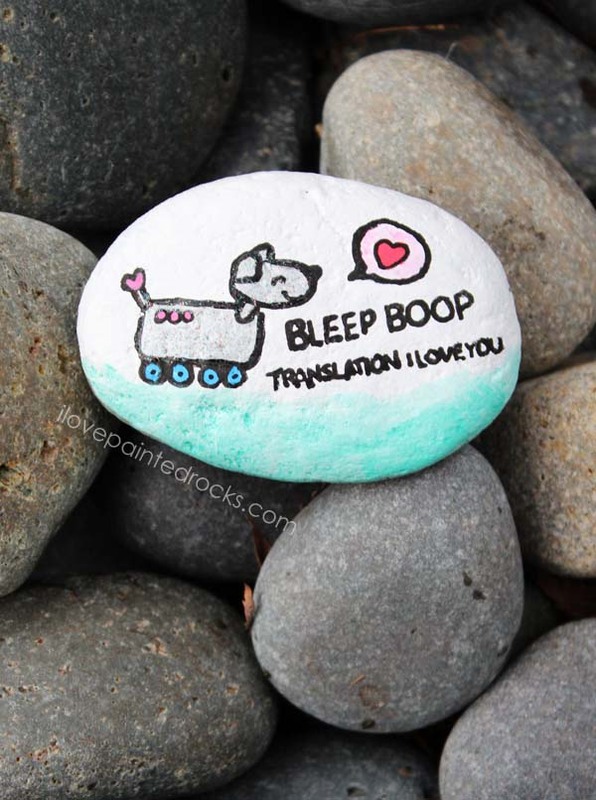 I used those samples stamps to make this cool robot dog painted rock. 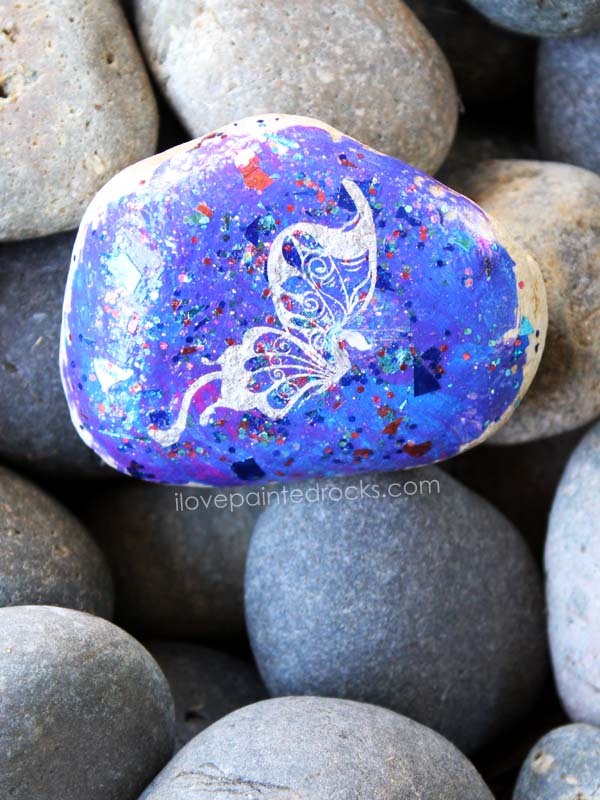 You can see the full-length tutorial video for how to create this rock on the I Love Painted Rocks YouTube channel. Dot mandalas are beautiful but hard to master. If you are dying to own one but don't quite have the painting skills needed to paint one yourself, try buying one from a talented Etsy artisan like MystiqueSieraden. I have heard people say things like "the rock told me what it wanted to be" but I never had that experience until I met this rock. This crescent-shaped rock was crying out to be a banana slug. 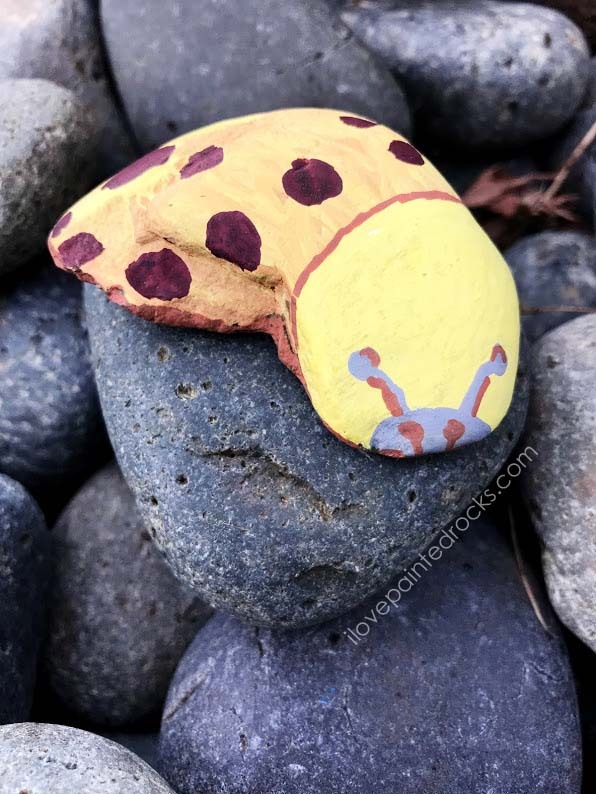 I was away from home but had some Posca pens on hand that I was able to use to help this rock's dreams of becoming a banana slug turn into reality. 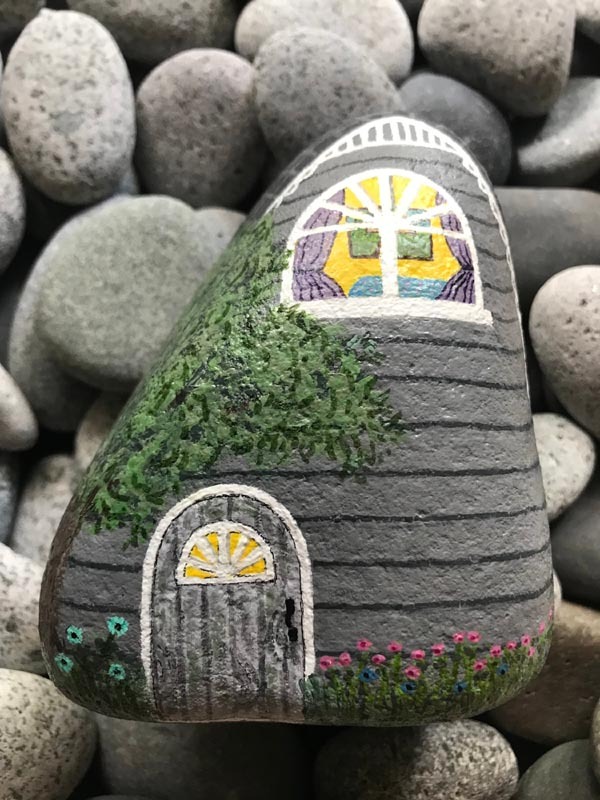 Painted rocks that resemble houses being painted to look like tiny houses are so cool! These would be perfect for using to set up a painted rock fairy door in your area. 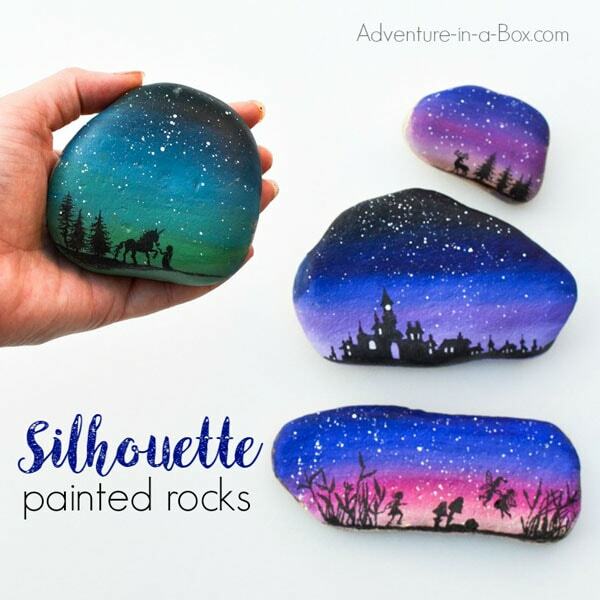 Adventure-in-a-Box has several really cool rock painting tutorials including this one which teaches you how to make magical looking silhouette painted rocks. They even have free downloadable templates that you can use to replicate the rocks they show you how to make. Christine Brand (@NaturePlusPigment on Instagram) created these simple but really cool mermaid scale rocks to giveaway to customers who purchased things from her Etsy shop. 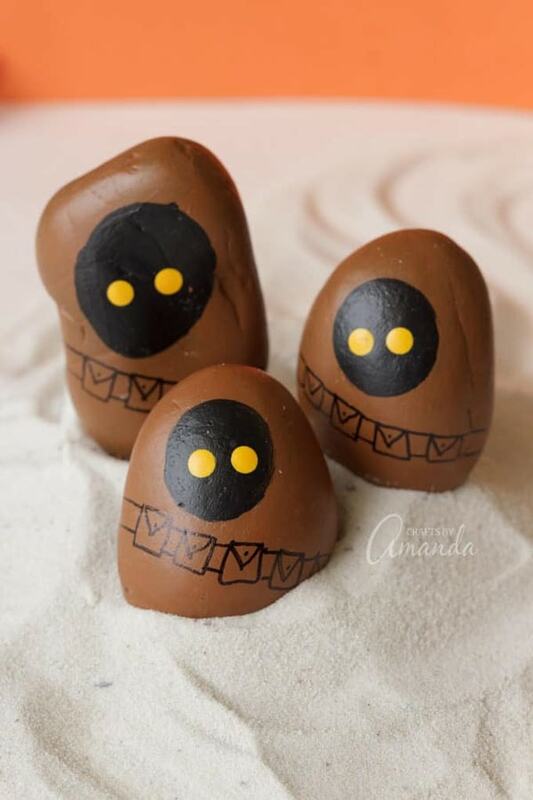 One of the things I love about these cool jawa painted rocks from Crafts by Amanda is that they are 3D and paint the rocks so that they become mini jawas instead of just painted designs onto rocks in 2D. Love Star Wars? I have lots more Star Wars Painted Rock Ideas! This purple and sparkly painted rock is a fun twist on the galaxy painting technique. The stars, in this case, are created by a special glitter paint called Glitterific. A metallic silver butterfly tattoo finishes off the fantasy feel of the rock. 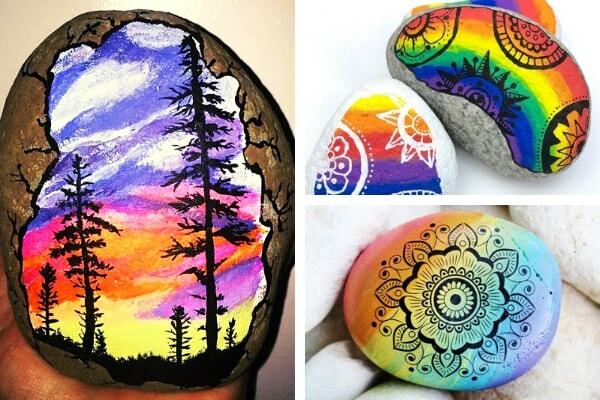 Etsy artist AngelaArtIE paints all kinds of amazing rocks. She specializes in turning rocks into realistic looking animals. 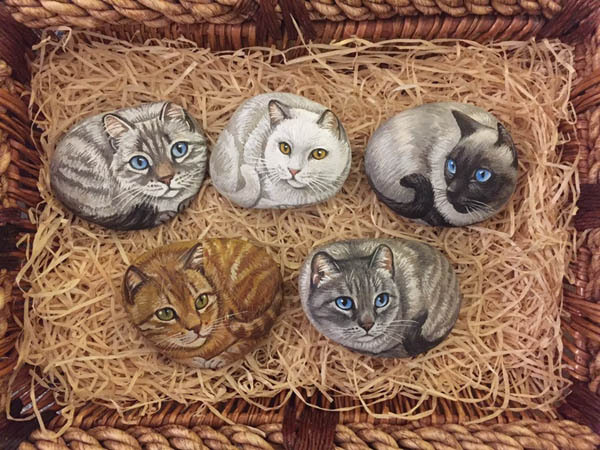 You can buy her painted cat rocks by clicking the image above. Check out all her other cool rocks that look like animals here. 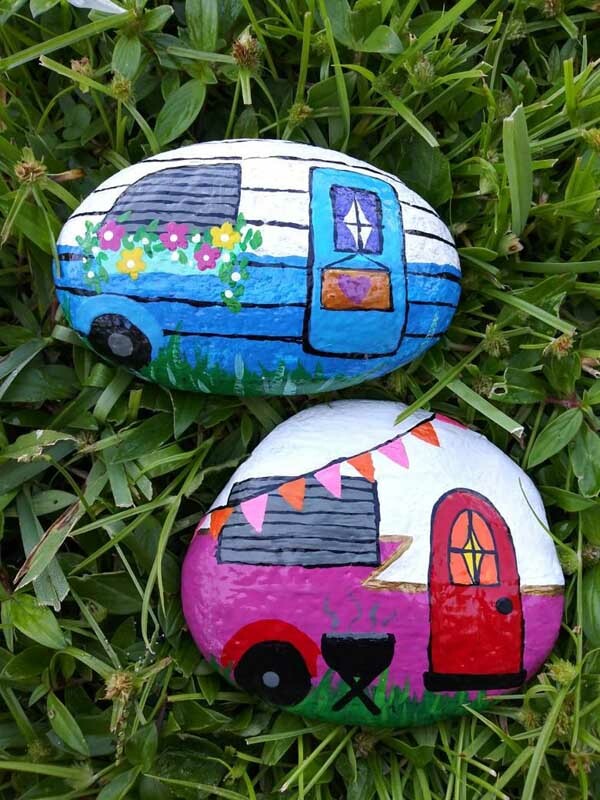 Aren't these rocks painted rocks that look like vintage campers awesome? They would be super cute in a fairy garden or as an addition to a painted rock city. Even thought these rocks look fancy, they have a secret - they were made with stencils! Isn't that cool? 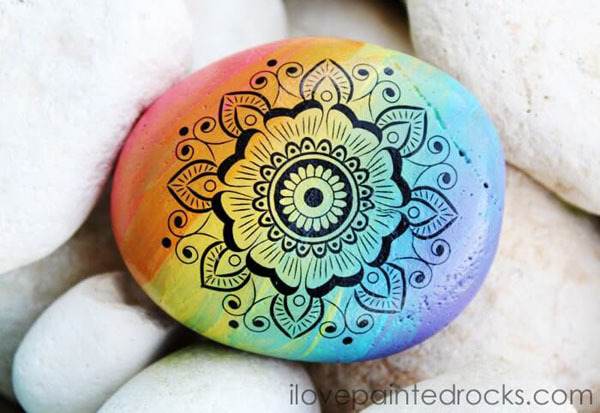 Check out the rock painting tutorial on DoodleCraft to learn how Natalie made them. 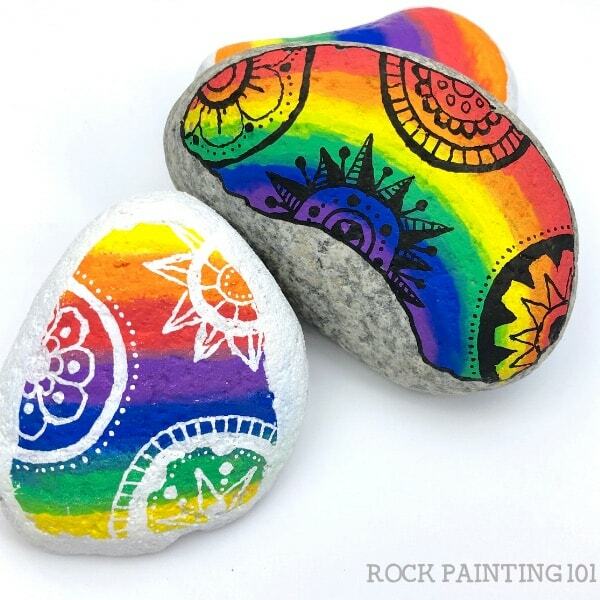 Rock Painting 101 created these cool rainbow background painted rocks with black and white designs on top. Click the link to watch the video tutorial to see how they made them. 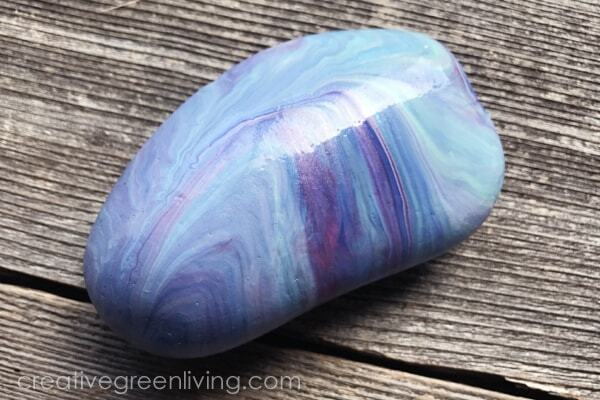 These cool marbled rocks use a combination of Martha Stewart Marbling Medium and Martha Stewart Acrylic paints to get this awesome swirly effect. 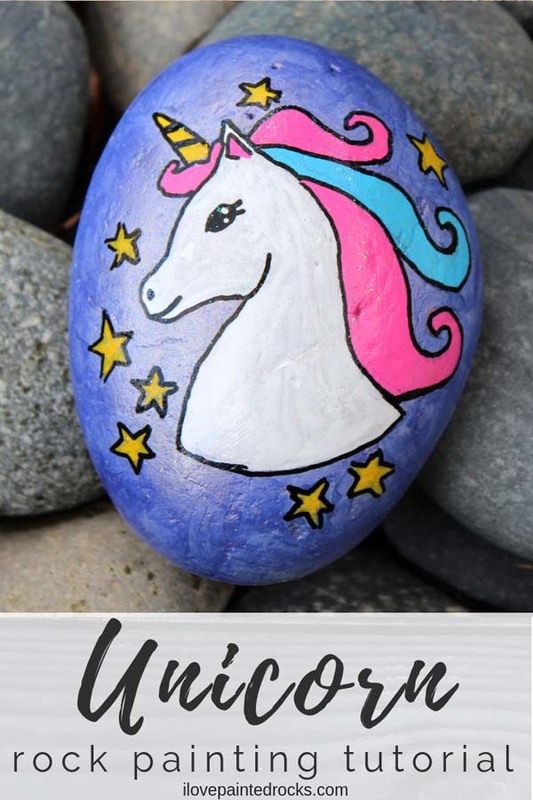 If you love unicorns, you will love this magical rock painting tutorial. 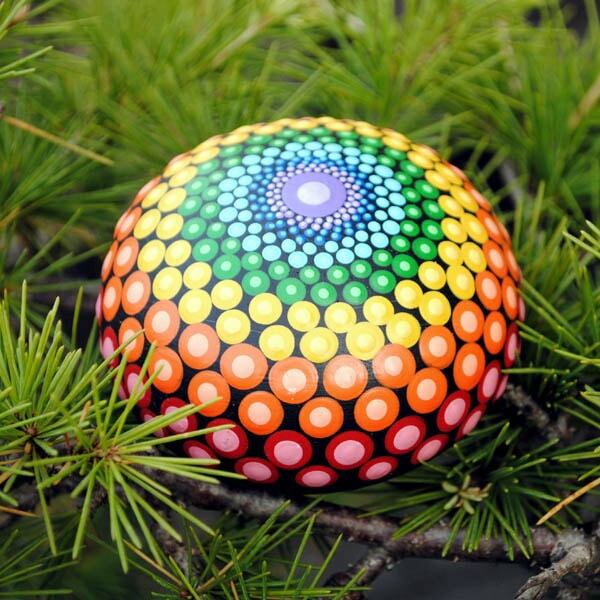 Using a stencil means that anyone can get an awesome painted rock like this one!